San Carlos is once again on the national news radar. 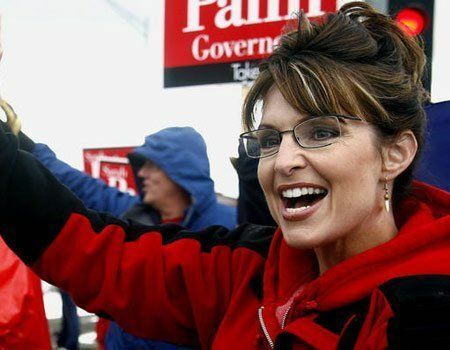 Alan Herson has filed a lawsuit in Federal Court against the City of San Carlos on behalf of his son, Jeffrey Herson, asking for monetary damages as well as his right to erect a billboard promoting Sarah Palin for President in 2012. It all started when the City of San Carlos rejected Herson’s application for the billboard. Herson argued that his First Amendment rights were being violated. Last week, a Federal Court Judge found that the case filed by Herson had merit, prompting San Carlos to enact an emergency measure reaffirming their ban on any new billboards, but they also removed their current restrictions on political signs. The restrictions on current political signs is what the court had found to be over the top. By enacting the new measure San Carlos hopes that the lawsuit will now be dismissed entirely. Herson, however, seems to believe that San Carlos blocked the sign due to its mostly democratic population as stated in an article published by Sphere on November 12, 2009. The Hersons have quite a reputation in this arena. They spent 12 years fighting in Oregon courts over similar billboard laws and were eventually successful. They seem entirely focused on forcing San Carlos to bow down to their demands. Also, in the November 12, 2009, Sphere article, Herson states that if they are successful in their crusade, the billboard will have a new political message, one that condemns the City of San Carlos City Council and its Mayor. To read the complete Sphere article, please click here.